DDS Versus DMD: Does It Make a Difference When Choosing a Dentist in Toledo? It pays to do your research when looking for the right dentist in Toledo. Office location, areas of expertise, and convenient hours are all important factors. Some things are less critical, however. This is especially true when it comes to whether the dentist holds a Doctor of Dental Surgery (DDS) or Doctor of Dental Medicine (DMD degree). Both degrees have essentially the same requirements. The US has some of the most rigorous standards in the world for medical and dental professionals. To obtain a dentistry license, a candidate must first earn a doctoral degree from an accredited dental school. Simply being accepted by one of these schools is challenging. Most applicants are turned down. Dental school takes four years of intensive study to complete. The curriculum includes both classroom and practical training. After graduation, the person must then pass a series of licensing exams administered by both federal and state agencies. That’s not all, though; dentists in all 50 states are required to complete a minimum number of training credits on a regular basis to maintain their license. Each member of the field is expected to live up to the highest professional and ethical standards. The dental profession as a whole is monitored by regulatory agencies staffed by long-time experts in their fields. Standards are constantly upgraded to reflect the newest technical and procedural advances. So what’s the reason for the two titles? It comes down to customs and history. 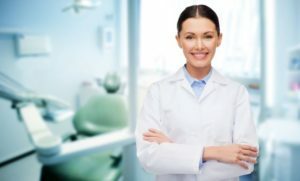 Over time, some schools have chosen to call their graduates a “Doctor of Dental Surgery”; others use the term “Doctor of Dental Medicine.” Either way, you can rest assured that your dentist is fully qualified to provide quality care. Otherwise he or she would not be in the profession. As with other branches of medicine, dentistry has changed over the years to include a variety of specialties. Some dentists focus on cosmetic dentistry, others on restorative procedures, still others on young people or orthodontics or sedation dentistry. Of course, there’s always the good old-fashioned “general dentist” or “family dentist in Toledo.” The best choice for your situation depends on your needs and expectations. If you have any questions or concerns, then address these to the office you’re considering. The staff will be glad to give you the answers you need to make an informed decision. All of us are lucky to live in a time when quality dental care is the standard throughout the US, Canada, and Europe. Use the information in this post to guide you as you make the best healthcare choices for yourself and your loved ones. Whichever practice you ultimately choose, we wish you nothing but happy smiles for all the years to come. Dr. Richard Thomas earned his DDS degree from Case Western Reserve University. In addition to his regular practice, he serves as a part-time professor at the University of Toledo Medical Center, where he helps to train the next generation of dentists. Dr. Thomas is specially trained in providing care to elderly persons and those with special medical conditions. You can reach his office online or by calling (419) 539-2168. Comments Off on DDS Versus DMD: Does It Make a Difference When Choosing a Dentist in Toledo?